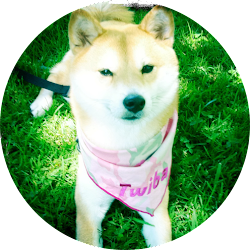 For my new blog readers, I'm Tokyo and I'm a 3 1/2 year old Shiba Inu girl. I have a pawsome life in southern California and get to travel frequently with my people. I'm fabulous in my own right. However, there's another dog around who has been getting a lot of air time. Boo is a 6 year old tiny little Pomeranian, considered the cutest dog in the world. Boo has merchandise, books and even a life-size Gund stuffed animal in his likeness. Boo has been interviewed by celebrities and is the official pet liaison of Virgin Airlines. And with over 6.5 million "likes" on Facebook, Boo is clearly the most popular dog around. My grandma even bought her own Boo stuffed animal. What the bark? With all that attention, I figured I should see what's going on with this little dog breed. According to my research Pomeranians are small compact, intelligent dogs, with outgoing temperaments that are eager to learn and love to please. They are an energetic toy breed that enjoys attention from people. Poms (as they are often called) range in weight from 3 lbs to 7 lbs. They are also an independent, head strong dog that can be prone to barking. They also shed a lot and require daily grooming to prevent matting. Some people even say that Poms have a fox-like appearance. Um, no. Boo can't hold a candle to a beautiful Shiba like you, Tokyo! Poms are eager to please? Where is their since of pride? Shibas know everything; they don't feel the need to prove it all the time. 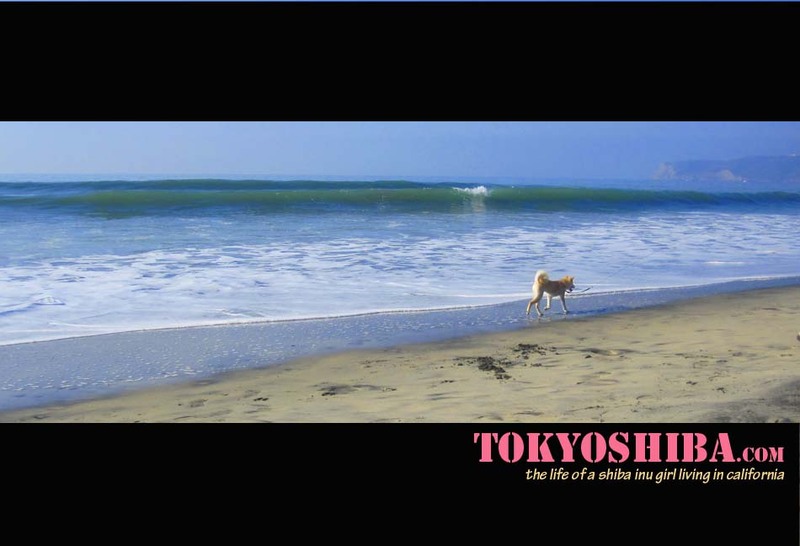 Beautifull photos and great blog!especially for me thanks. 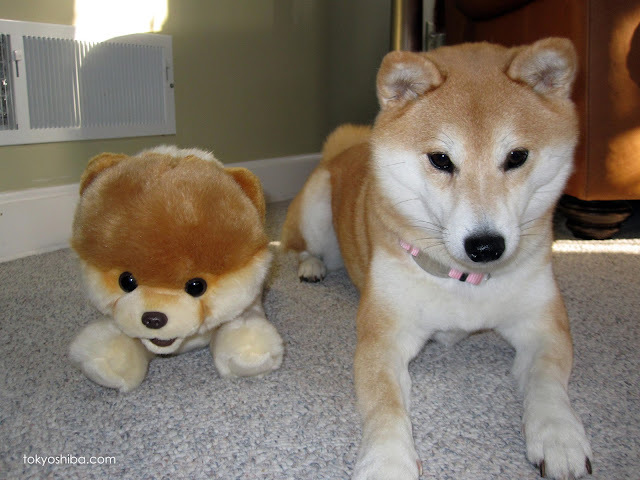 I love that stuffed shiba, I've been looking for one like crazy. Do you remember where you got it? 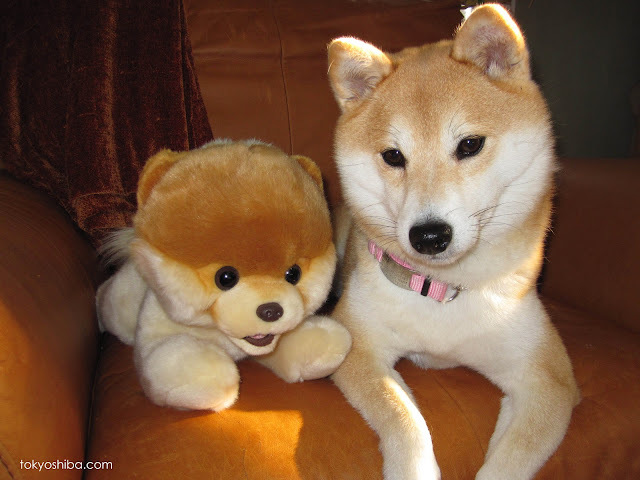 Shiba inus rule and poms just drule!